Ratu Kadavulevu School rugby Under-18 centre Solo­moni Naiduki has signed a three-year deal with the National Rugby League side Paramatta Eels. Initially there were talks for the Matacula villager from Tai­levu signing with Canberra Raiders. Yesterday his father Walosi Naiduki told SUNsports that his son had penned a new deal with the Sydney suburb-based club. “Solomoni has signed a three years deal with Paramatta Eels and we are proud of his achievement and I know he is going there for exposure,” Naiduki said. The 18-year-old has been reminded by his dad of his respon­sibility when settling in at the land Down Under. “I have been telling my son that he needs to focus on his purpose of going to Australia since he will be new to envi­ronment and playing against professional players,” Naiduki said. “He will need to prove himself to his team management eve­ryday when training and during competition week. Solomoni with the assistance of former Fiji Bati and Para­matta Eels rep Wise Kativerata secured his new deal. He will start with the Paramatta U20 side next season. Solomoni is now awaiting his visa which will be released early January. From Melbourne Australia yesterday, Kativerata said Solo­moni made a right decision to join Paramatta. 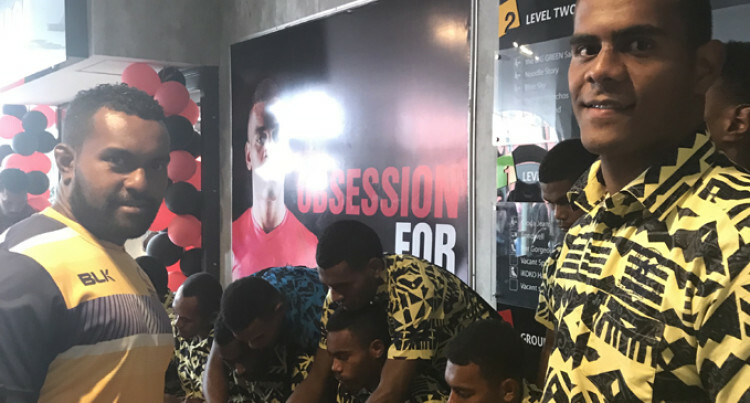 “I’m positive he will be looked after well as he starts his journey from U20 and if he performs well he will keep sign­ing his contract till the senior level,” Kativerata said. Fijians who have reached the elite level for the Eels include Jarryd Hayne, Semi Radradra, Wise Kativerata, Eparama Na­vale and former Nadroga rugby winger Maika Sivo. “Solomoni will be exposed to professional training which he will benefit from towards building his career,” Fiji Nation­al Rugby League chairman Peni Musunamasi said.